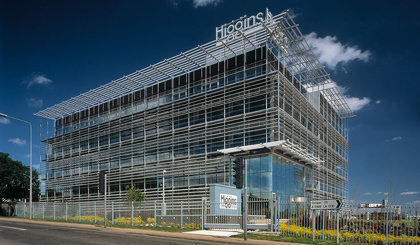 www.higginshomes.co.uk meets the following success criteria as outlined by the Web Content Accessibility Guidelines 2.0. Alternative text is provided for all non-text content, which ensures the website can be used with screen readers and translation software. The site does not contain audio-only content. An alternative to video only content is provided in the form of image galleries with alternative text. Content is ordered in a meaningful sequence and is positioned based on structural markup within the CSS. All forms also have the correct tab sequence. Content that relies on sensory information only is kept to an absolute minimum, and where it is used text alternatives are provided. Colour is not used as the only form of conveying content, in each case, text alternatives are also used to distinguish the message. Specifically, all links are marked in the HTML and error fields are also presented with text. Both background and foreground text colours are specified to maintain contrast. Background images have sufficient contrast with foreground text. Browser controls can be used to successfully resize text up to and in excess of 200% without truncating or loss of functionality. Use of images of text are kept to a minimum, but where use, text alternatives are provided. Text is aligned left, not justified, is set in a larger than minimum standard font by defaults and has upper and lower case according to the spelling conventions of the text language.